This anthology fills a gap which has been widely felt. 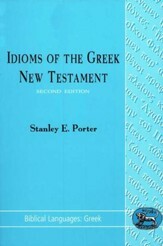 It gives students--at sixth-form, undergraduate or junior graduate level--the opportunity of sampling a very wide variety of Greek prose texts, chosen to illustrate both development and generic differences. Each of the 100 passages is accompanied by a short introduction, and there are brief notes explaining difficult words and drawing attention to linguistic and stylistic points occurring in the extracts. Full references to grammars are given and the texts are supplemented with a useful general introduction as well as indexes of words and of grammatical and stylistic features. 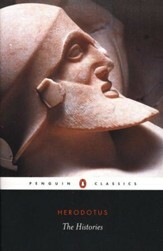 The extracts cover the entire range from the fifth century BC to the fifth centruy AD: Herodotus, Thucydides, and other historians; orators from Andocides to Demosthenes; philosophers such as Plato and Aristotle; and many writers from the Hellenistic and Roman periods (including some biblical and other Greek Christian texts). Care has been taken to choose pieces of interesting content, so that the book can serve as a reader to stimulate interest in Greek culture generally. This anthology presents over fifty extracts representing all the major Greek prose writers from the fifth century B.C. through to the fourth century A.D.: Herodotus, Thucydides, Lysias, Isocrates, Plato, Xenophon, Aristotle, writers from the Hellenistic and Roman periods (including some New Testament and other Greek Christian writers), and many others. Introducing a broad range of style and syntax, the passages are accompanied by explanatory notes, full references to grammar, a useful introduction, and grammatical and stylistic indexes. The only anthology of its kind, this book will be an essential guide for both students and teachers of Greek literary appreciation and prose composition. I'm the author/artist and I want to review An Anthology of Greek Prose.